izzit.org News: It's SUMMER - and teachers rejoice! It's SUMMER - and teachers rejoice! "Though we've gotta say goodbye, for the summer..."
Okay, not really. We'll still be here, all summer long, planning for the new school year, prepping to bring you more terrific educational DVDs and teacher resources. 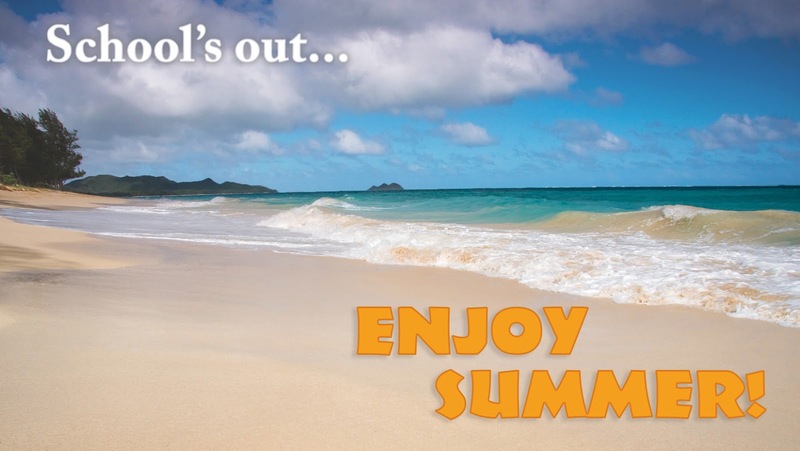 So while you're reading, decompressing, enjoying the beach, taking classes yourself, designing new bulletin boards, and doing all those other things teachers do over summer vacation, if you need some help from us, we're still here, 8 am-6 pm EST, every weekday. Call us (toll free: 888-242-0563)or email us (ask@izzit.org).